Banlaw’s business is all about helping users of industrial fluids to reduce business risk and drive productivity. We can’t do this alone. Our 60 skilled distributors support customers in over 30 countries. They provide local language support as well as specialist local skills wherever you are. We’d like to take this opportunity to recognise a number of high performing Banlaw distributors; companies that have excelled at solving customer problems around refuelling, fluid transfer, overfill protection, and fuel management. 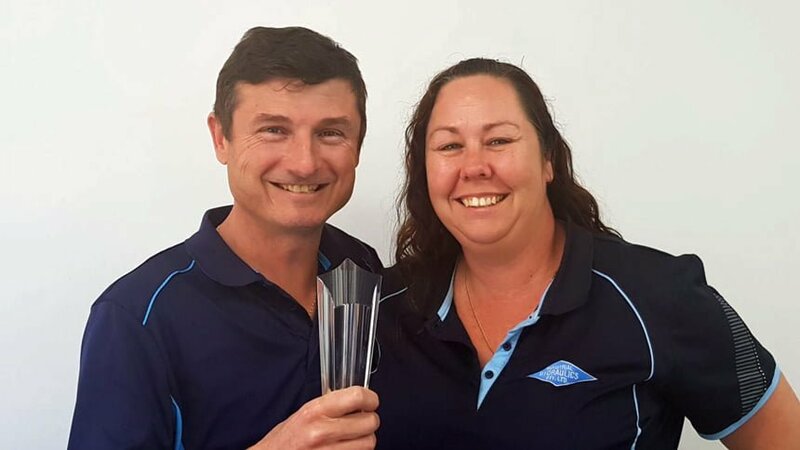 To begin, we’d like to recognise the efforts of Alan Donovan and the team at Mackay Fluid Power. 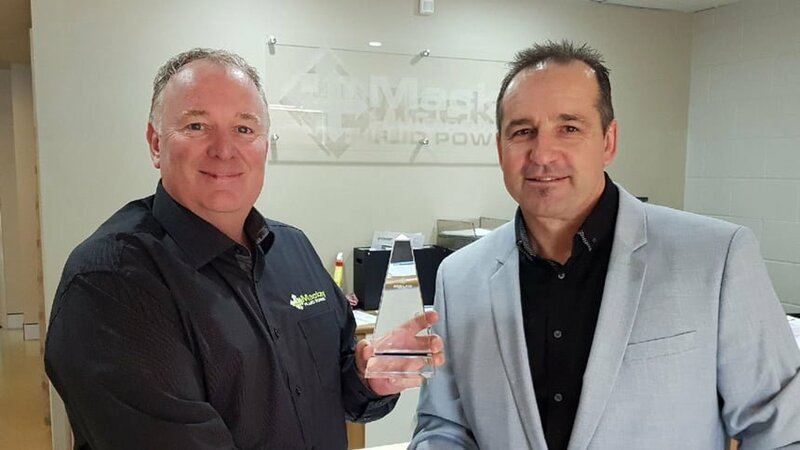 Mackay Fluid Power are being recognised as our Number 1 Distributor in Australia. Alan’s team have been excellent at selecting nozzle, receiver and vent combinations to resolve refuelling issues for customers. Machines which were previously a challenge to refuel are now filling completely, reliably, and at higher speed. Problem solved. Nice work, and thankyou Mackay Fluid Power. 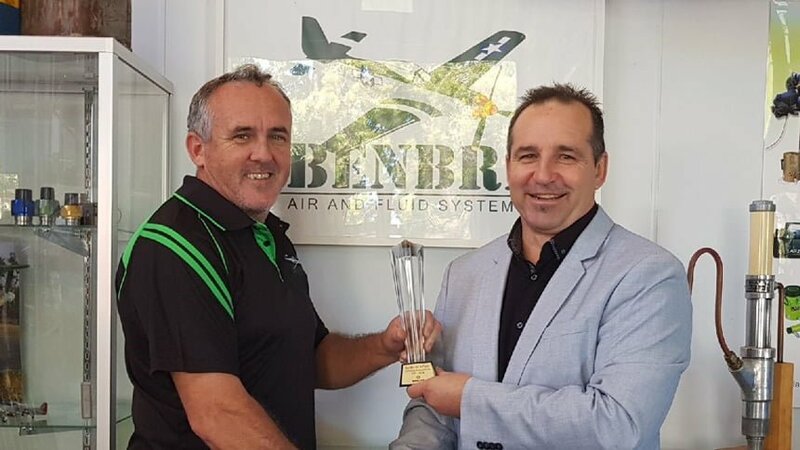 Congratulations to BenBri Air & Fluid in the Bowen Basin. One of our High Performing Distributors for FY18. Darrell Gibbs (left) and the team at BenBri have excelled at auditing machines and fuel facilities to resolve issues around fluid contamination, leakage, and the premature shutoff of refuelling systems for many sites. Well done, and thankyou! Congratulations to Industrial Hydraulics in Brisbane. One of our High Performing Distributors for FY18. Paul and Leah Bennett (pictured), and the Industrial Hydraulics crew have focused successfully on nozzle repairs, training, and mature maintenance management systems. This has helped their customers achieve a superior total cost of ownership from their refuelling investment. Great job, and thanks! 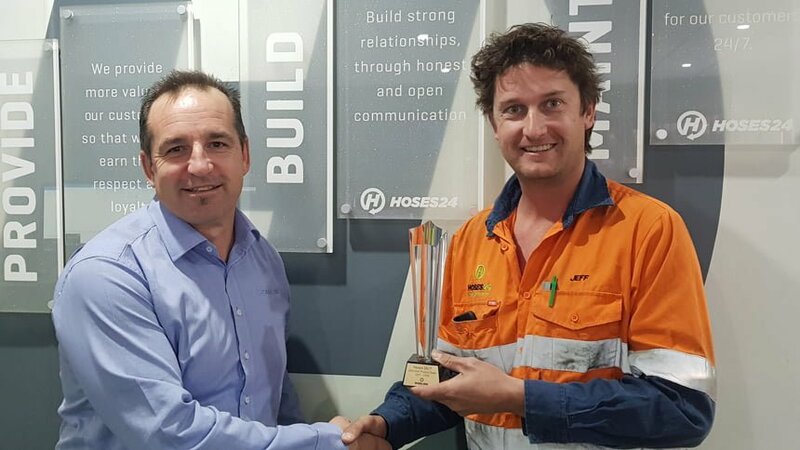 Congratulations to Hoses24 in Dysart, QLD; one of our High Performing Distributors in FY18. Dave Jones and Jeff Dyne (who is pictured on the right) have excelled at using flush face couplers to help clients resolve the contamination of machine fluids. Their new showroom is also a great resource for customers who can now visit and see a large range of hose and fitting options to aid reliability and performance on site. Well done Jeff and Dave! While we can’t profile every distributor that is solving fluid challenges for customers, we do value them. Find your local Banlaw distributor on our contact page.